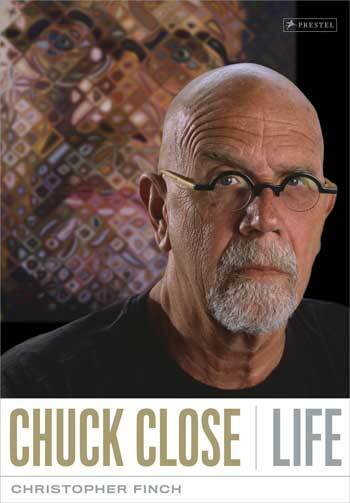 Chuck Close, most famous for his large-scale portraits that are divided into grids and painted, has to move around in a wheelchair due to a collapsed spinal artery in his back. He also suffers from prosopagnosia, or face blindness, where he can't recognize faces. Close also lives with dyslexia, something that wasn't recognized when he was growing up. "(At that time) there was no such thing as dyslexia," he tells F News Magazine. "[People thought] you were just dumb and lazy." Close had trouble remembering names and dates, but worked hard to show success in school. He sat in the front rows, participated frequently, and even would sit in a dark room, shining a flashlight on a page of text and read it out loud until he remembered. But the best way Close got through school was by making art. He would "drag extra-credit murals and maps and charts into class" to prove to his teacher that he was neither dumb nor lazy. Despite his dyslexia, Close became successful in his pursuit of art. He lived by the motto "Go to Yale or go to jail," striving for a successful art career at the university. His parents were supportive of his love for art, which gave him the motivation to work hard. With his perseverance, he was able to earn a scholarship to Yale summer school, and eventually a scholarship to Yale University, where he met many influential artists. During a time when abstract expressionism — the big, messy tableaus that were made famous by Jackson Pollock — was on the decline, American art needed something new. Close's peers and mentors helped Close find a unique medium, and there he got into photorealism. To read his complete story, visit The Guardian.